This app will gather all the information that is needed to register for a Krishna Lunch at your campus. Payment can be made on site (and we will put in hooks to make that happen soon through the app). 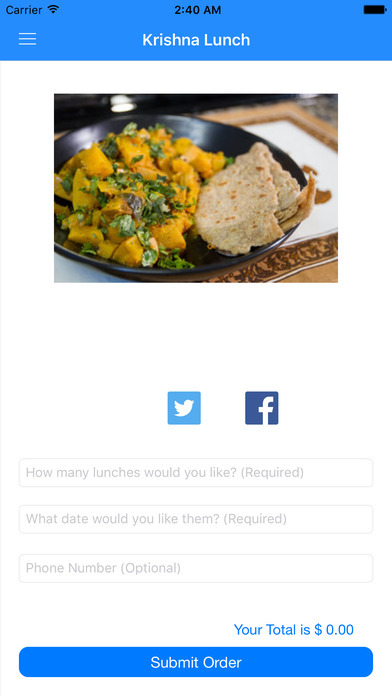 The app uses your favorite email client to send an email to the organizer for the Krishna Lunches to reserve your lunch.